Teens have very busy lives and for some of them, getting metal braces is not at the top of their list of favourite things to do. There is now Invisalign, available for teens. Invisalign Teen is an alternative to braces and it’s a great option for those who would rather straighten their teeth a different way than with the standard metal braces. Invisalign Teen aligners are made of a smooth, clear plastic that is virtually invisible, and they are replaced every two weeks. Dr. Nima Mir will make sure that each aligner is custom made, perfect for each one of his patients. Invisalign Teen aligners can be removed up to 4 hours per day to eat, play sports, play instruments and brush teeth. With the option of removal, it can make oral hygiene easier to maintain but patients have to remember, it is recommended to wear the aligners at least 20 hours a day. Teens will wear Invisalign just as long as traditional braces but each patient is different, so it’s best to see Dr. Nima Mir and find out how long yourself or your child’s treatment will be for. 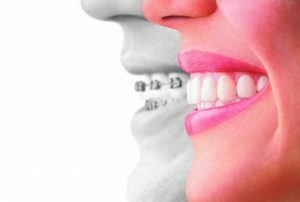 As well, the cost of traditional braces and Invisalign can be very similar but there is never a set fee. Dr. Nima Mir will determine the cost based on the orthodontic treatment needed. Invisalign is a very effective treatment, as long as the aligners are worn as directed and all instructions for treatment are followed. Many patients are happy to have the options of these clear aligners, as well as traditional braces. If you have any questions regarding Invisalign or other orthodontic treatments, don’t hesitate to call York Orthodontics; Dr. Nima Mir and his team are here to assist you.